The future of books – and Santa? (This news may not be as bad as it sounds as unlike receivership, the aim of administration is not to sell the business but to try to return it to viability). 1: Shock – what does this mean for book retail in New Zealand? This is a crisis! 2: So what? Whitcoulls’ customer service was poor. They were only pretending to be a book shop. Bring on internet purchases and eBooks. We may even see growth of the independent book sellers. 3: What’s going to happen to Santa? 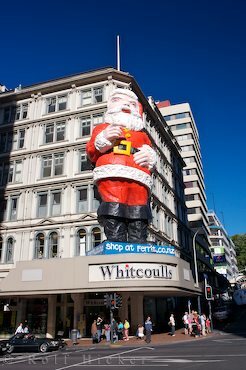 He’s been such an annual fixture on the Whitcoulls’ Queen Street building in Auckland. Whatever the financial and customer service problems this move does seem to signal significant changes. Inevitably there will be staff losses and closure of at least some shops. But the interesting thing will be how the company accommodates the huge changes in book retailing currently underway globally. Commenters have already pointed out the Borders and Whitcoulls had not reacted well to the growth in internet book purchasing. And they have been slow to accommodate growth in eBook sales. 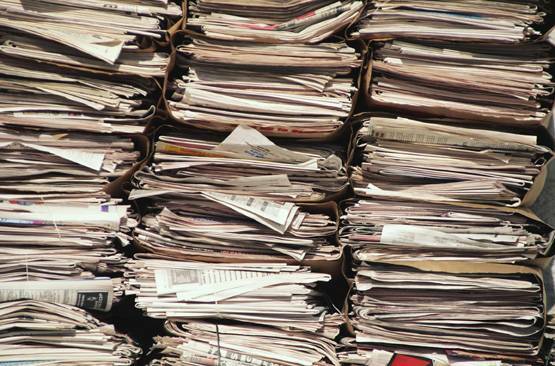 So any restructuring of these retail outlets will have to take into account the reality that the internet and digital book revolution provides customers with an alternative of rapid access to almost any book in print or in digital format. As a recent purchaser of an eBook Reader (see The joys of eBook readers – the Sony PRS-650 Touch) I hope this restructuring will facilitate the lifting of regional restrictions on eBook purchasing. It’s hard to know what the future of book retail in New Zealand is going to be like. In the last 25 years I have lived through similar upheavals in the music and photographic industries. I guess I have also lived through a similar transformation to digital in financial transactions. I used to enjoy browsing through records and CDs in music shops. Just as I enjoy browsing through the merchandise in bookshops. That might change in future. But I will still have the pleasure of browsing through the bottles in a wine shop. Can’t seen them making that digital. See also: Are ebooks taking off?